When a will is submitted for probate, a process of gathering and distributing assets begins. To do this properly and accurately, the personal representative of the estate must know what assets are included in the estate, and their worth. 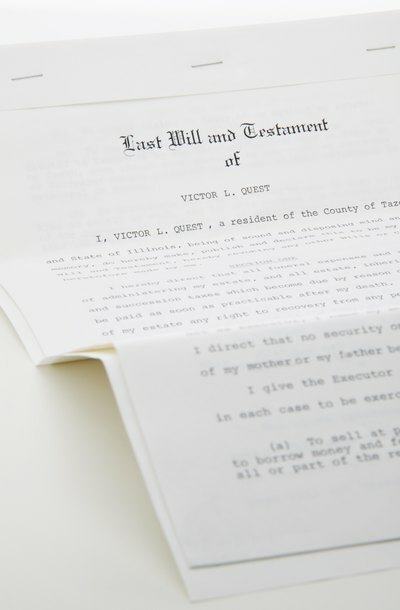 Many states require that the personal representative complete and file a probate inventory, listing the property included in the estate and its value at the time of the decedent's death. Occasionally, the court will appoint a referee or appraiser to determine the value of non-cash assets. Depending on the state, the personal representative may be required to only list assets subject to probate on the probate inventory. However, other states, such as New York, require that non-probate assets, such as life insurance proceeds with a named beneficiary, also be listed on the inventory. The probate inventory has several purposes. The first is to update the court on the value of the estate. Generally, when the personal representative files a probate petition, he will list the assets and their value to the best of his knowledge at the time of filing the will. The probate inventory is filed months into the probate process, and is a more definite statement of the assets. At this time the court will also ensure that the proper court fee was paid when the will was filed. Each state has different rules pertaining to the cost of probate, based on the value of the estate. Additionally, the probate inventory will alert the court if the estate is subject to state or federal estate tax. When a personal representative has disposed of all estate assets, and made distributions to heirs, he is ready to close the estate. Prior to closing the estate, he will need to complete a probate accounting. The accounting will list the money that flowed in and out of the estate during administration. Generally, a personal representative opens an estate bank account when probate begins. As he closes accounts and disposes of personal and real property, he deposits the proceeds into this single account. A personal representative should never deposit estate funds into his personal account. Estate bills, such as taxes and utilities, will also be paid from this estate account. The estate bank account is a good template for the probate accounting. Some states require that the accounting be filed with the court, while others simply require that each heir sign off on the accounting, and release the personal representative from further liability associated with his administration of the estate. The personal representative of an estate is held to a special standard of fair dealing known as a "fiduciary duty." He must administer the estate with special care and is accountable to the beneficiaries or heirs. One way a personal representative demonstrates his accountability is through the probate accounting. Heirs that are entitled to a portion of the residuary estate, or what is left after all other distributions have been made and bills have been paid, are entitled to see an accounting prior to releasing the personal representative. If an heir does not agree with the accounting, he has recourse in the court. The Paralegal Society: "Top Ten Fundamentals of Completing a Successful Probate Estate Inventory and Appraisal"
There are often complaints about the expense and length of time the probate process takes. Given this is an emotional time for a decedent's heirs and beneficiaries, states have developed ways to fast-track smaller estates through the system. The State of Florida has a few methods that simplify the traditional probate process for such estates.